“Victory is not winning for our party,” the president declared. 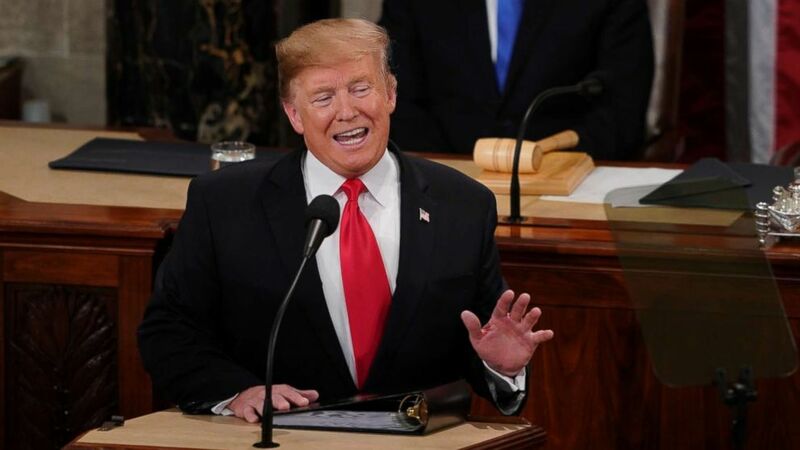 President Donald Trump used his State of the Union address Tuesday night to describe the kind of leader he might wish to be – a bipartisan healer bringing the nation peace, health and success while celebrating the achievements of immigrants and women. 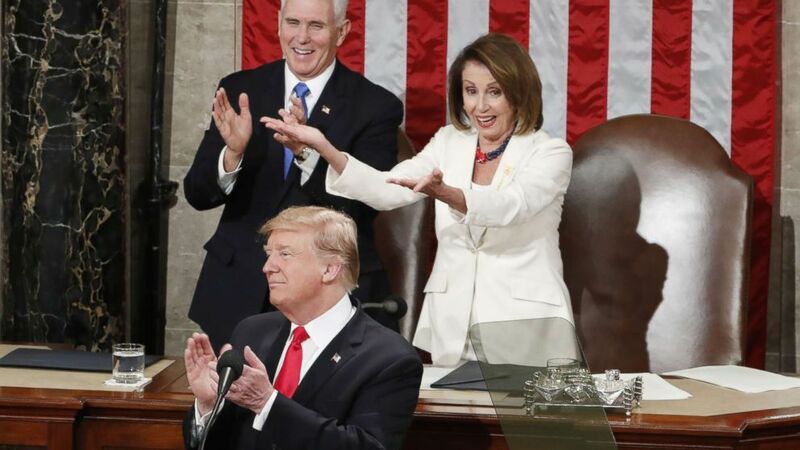 Trump adopted an at times soaring tone that created some surprising moments – including a few that even seemed to surprise the president himself with bipartisan applause. But it’s also a tone that might surprise the man who tweets from the White House every day. (Carolyn Kaster/AP) President Donald Trump delivers his State of the Union address to a joint session of Congress on Capitol Hill in Washington, Feb. 5, 2019. A president who loves winning has long since cemented the notion that he achieves victories in much different ways than he offered up in this speech. His presidency rests on a foundation of telling his opponents they are wrong, while questioning Democrats’ motives and patriotism - often quite colorfully. Even in this speech, the president made clear that he is quite comfortable with who he already is – with all the implications for the balance of his term that flow from that. The president did not take the politically inflammatory step of declaring a “national emergency” to bypass Congress and get his border wall built. He called the situation on the border an “urgent national crisis,” though he outlined no new path to avoid a second shutdown in his quest for a wall – beyond saying that it will go up. It’s a vow that could result in another government shutdown in just 10 days. The formal Democratic response reminded viewers that the president said he would own a shutdown to get border security. “The shutdown was a stunt engineered by the president of the United States, one that defied every tenet of fairness and abandoned not just our people - but our values,” Stacey Abrams, the Democratic candidate for governor in 2018, said in her televised response. The speech came at a curious moment in time for a president who has seen his approval ratings plunge to historic lows, in part due to the record-breaking government shutdown. Trump’s new tone in part reflected those new realities. With a new Democratic House speaker, Nancy Pelosi, looming figuratively and literally over the president’s shoulder, and with perhaps a dozen ambitious elected leaders who want to replace him looking on in the room, the setting was entirely different than anything Trump has faced in the past. (Shawn Thew/EPA via Shutterstock) Vice president Mike Pence and Speaker of the House Nancy Pelosi react as President Donald J. Trump delivers his second State of the Union address from the floor of the House of Representatives on Capitol Hill in Washington, Feb. 5, 2019. So too is this moment. That new House majority was elected on the promise of opposing Trump and what he has come to represent. 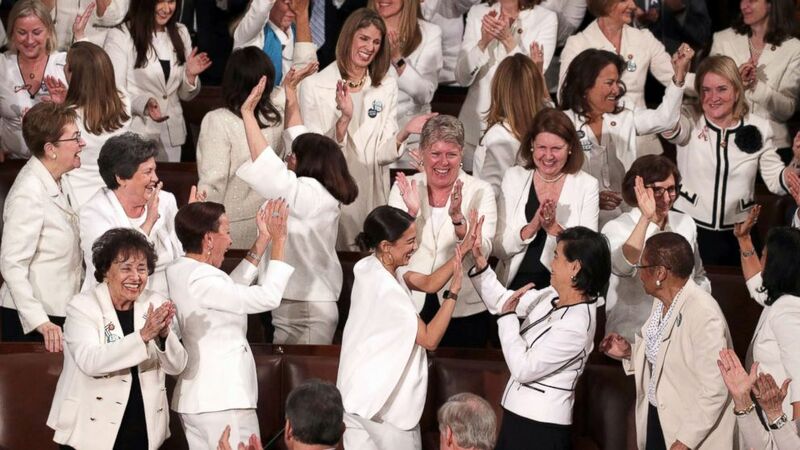 A sea of white outfits – worn by female lawmakers on Tuesday night – served as a visible reminder that this Congress better reflects the nation’s diversity than any in history. But in a plea to many of those same Democrats, the president showed a flash of the concern that undergirds his calls for unity now. “If there is going to be peace and legislation, there cannot be war and investigation. It just doesn't work that way,” the president said. It also doesn’t just work the way the president says, especially given the history of the past two years. In that context, the State of the Union seemed like less of a respite from bitter battles than a detour into a neighborhood no one in the room actually lives in. In the world the president described, Trump is an incomparable success, bipartisan achievements are within grasp, and a few words of comity can fade away years’ of bitter wounds. Trump cast himself as a healing force. “This is the time to rekindle the bonds of love and loyalty and memory that link us together as citizens, as neighbors, as patriots,” the president said. But many decisions about the trajectory of Trump’s presidency have long since been made. Others are out of his control: Robert Mueller’s probe appears close to drawing to an uncertain conclusion, while other prosecutions and investigations loom. Slightly past the midpoint of Trump’s first term in office, it has become clear that the Trump era will likely not be remembered for such sentiments. Trump has made decisions of his own when it comes to governing, again and again. A night of applause, or of yearning for bipartisanship, doesn’t change those choices.